vitamini handmade: Ringing it in. 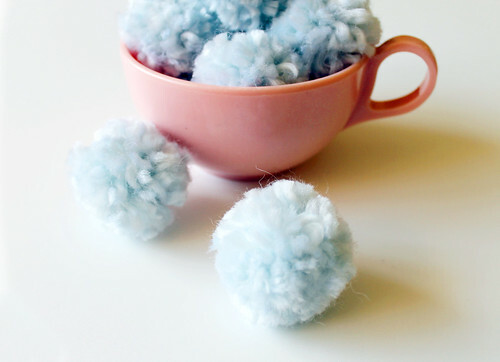 I started making a ton of these super-soft pompoms a while back. I'm not sure what I'll use them for, yet, but they look nice all piled up in my vintage pink teacups.